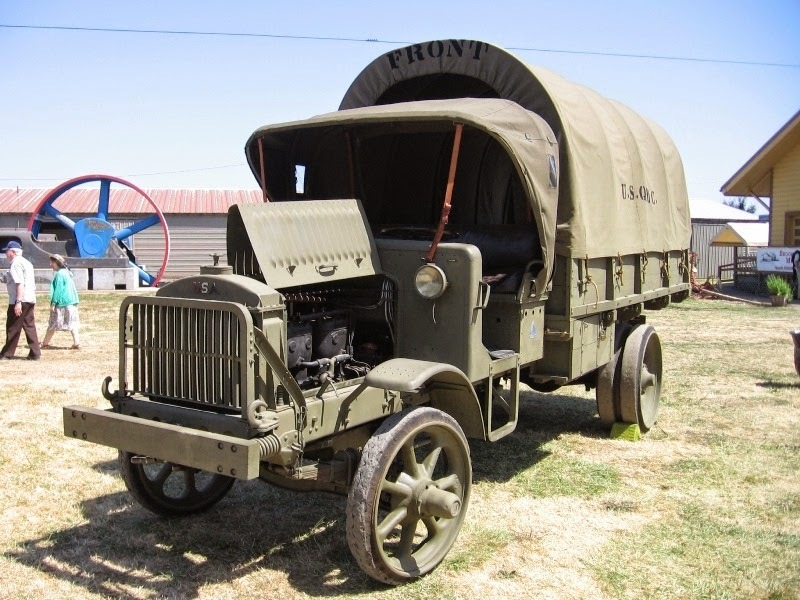 I made a photo run to the US Army Transportation Museum at Ft Eustis, VA. One of the best display vehicles for photography is the World War 1 Standard B Liberty Truck. I have a photos essay in an appropriately named Album in My Gallery & I invite your comments. The pictures start with the descriptive blurbe, a couple front shots, then work back along the right side as best possible, then switch to left-front & work from front-to-bak along the left side. I could not get good rear shots. Also note the museum model has a single wide rear wheel, when in fact the narrow dual wa standard. 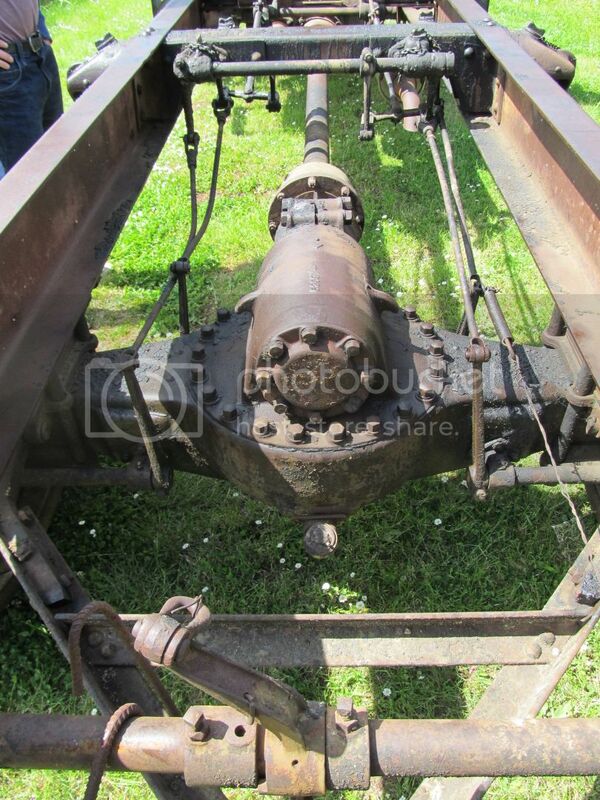 The last picture is of a dual wheel, albiet on a different type vehicle. Enjoy & let's see some builds !!! It's my model and I'll do what I want with it. All problems are soluble in stout. Now thats a cool truck, lots of detail there. I like the bumper set up & the hooks on the rims, ready for chains. 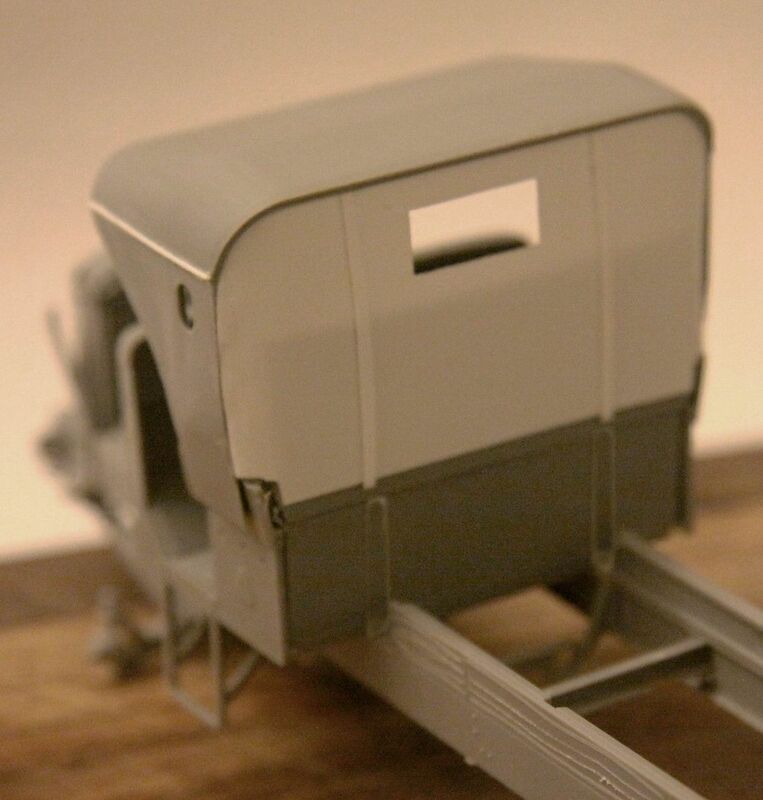 This would make a great build, does any one make this in 1/35? Building the ICM offering right now! The fit is excellent and the kit is well engineered. I should be able to post a few sub-assembly photos here in the morning. The basic construction (not including painting) should take 6-7 hours all told. It is an entertaining, straight forward and pleasing build! 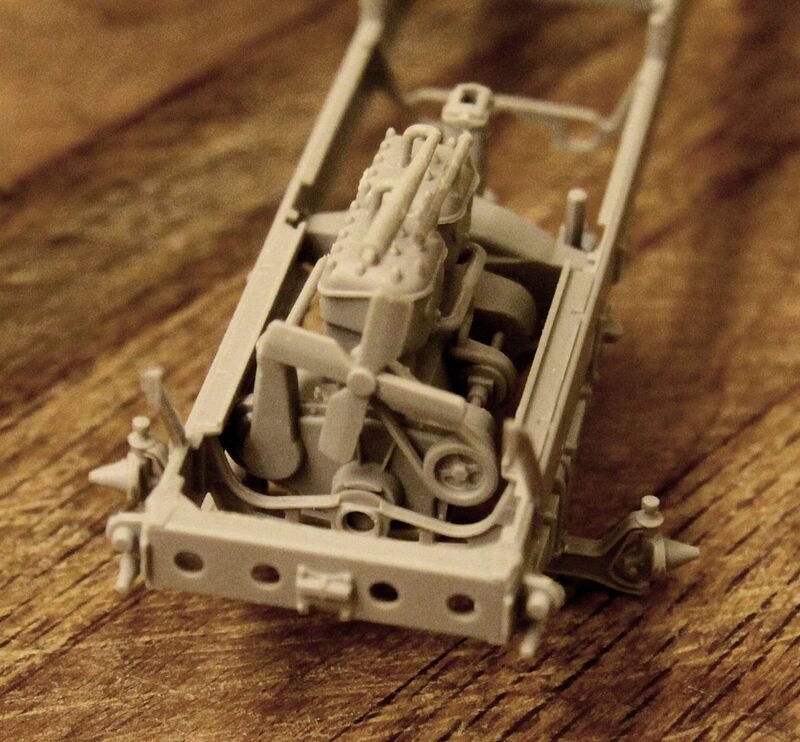 So far I have only found one small glitch in the instruction sheet which would have you mount the main fan belt pulley incorrectly after which you would no longer be able to mount the engine into the chassis. I will cover that as well in my photos. The instructions would have us attach the main fan pulley to the main engine crank shaft. 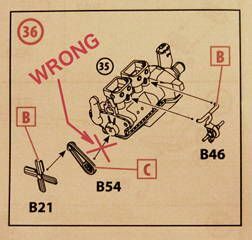 To do this would prevent the engine block from mounting in the forward engine mount. 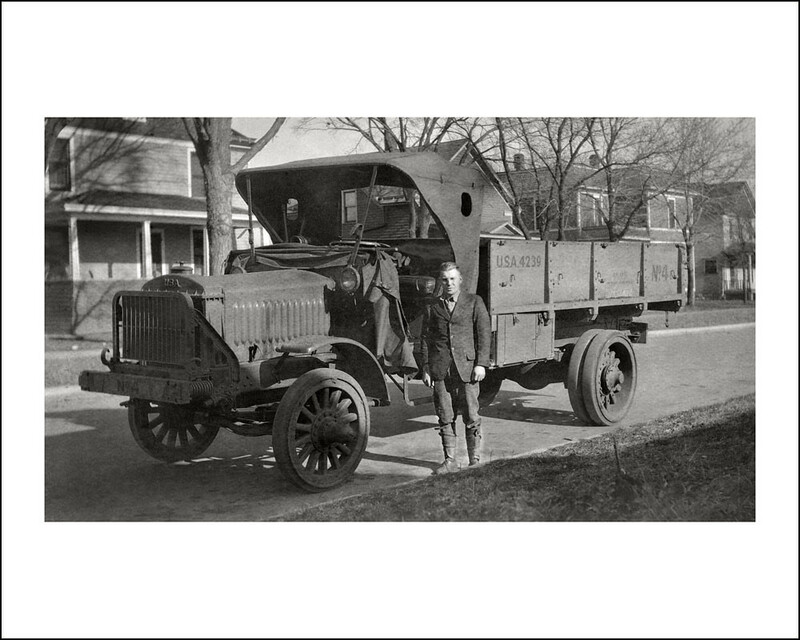 In this truck the starting crank attaches to the main engine crank shaft and the fan pulley attaches to the forward engine auxiliary gearbox. The Liberty B uses the typical ladder frame construction and ICM chooses to make up the chassis from separately molded side frame girders and cross members. While this requires a bit more care in construction it yields a much more highly detailed result. I told myself I would make this a one and done, straight out of the box build but I am more than a little concerned about the absence of a back wall to the cloth cab. That omission does not make a lot of sense to me. 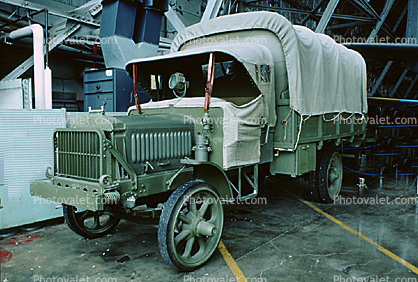 The reference photos that John R. provided clearly shows a cloth rear cab wall on the truck at Ft. Eustis. 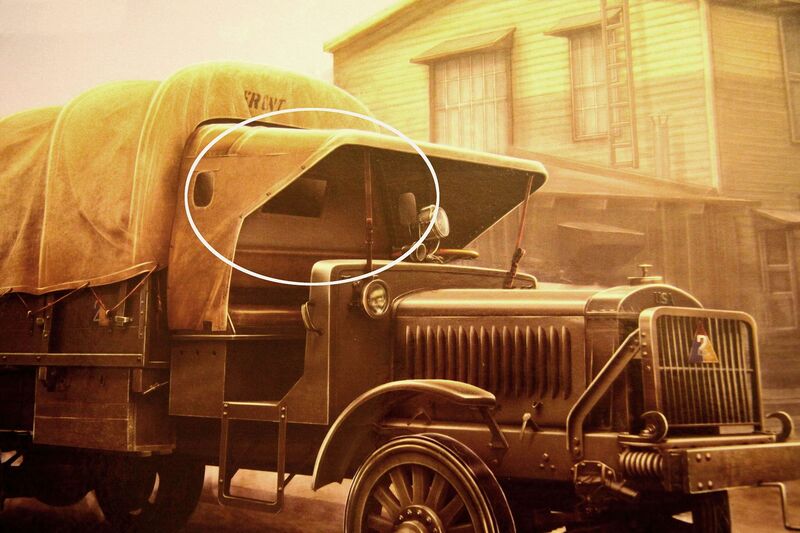 Beyond that even the ICM box art shows a cloth wall in the rear of the cab WITH A WINDOW EVEN. 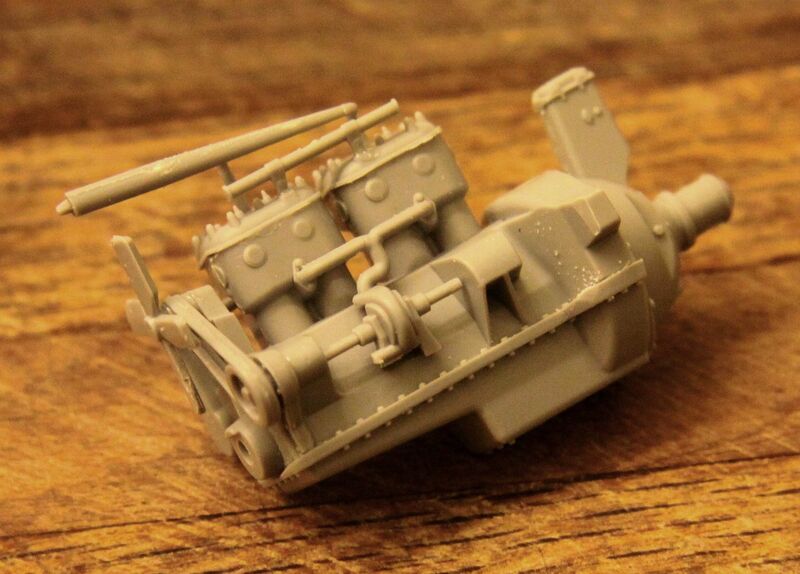 So I am now mentally working out how to create one for my Liberty truck. Clearly there was awareness of needing a back wall for the cloth top cab on someone's part at ICM. Also note the very essential, necessary but missing leather straps to hold down the front edge of the cloth top in a strong breeze - these are also missing on the model. I spent some time searching the kit box for a small piece of brass etch that might provide these straps but no joy there. Have been pulled away of late by both planes and trains. 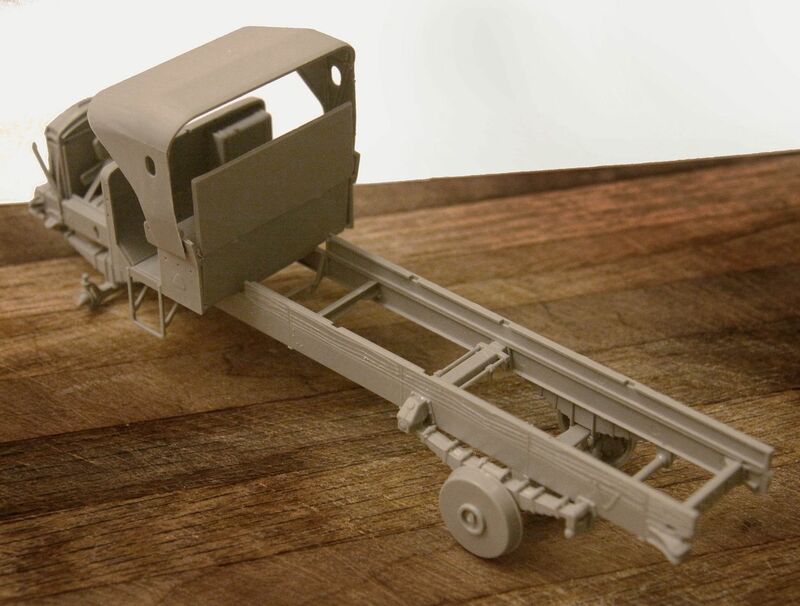 Now trying to use this Liberty Truck to draw myself back to my favorite part of the hobby. I felt that might be the case regarding the cloth top. There would no doubt be those days when you would want maximum shade but still would like to have the "flow through" qualities of a cab open both at the front AND the back. That one photo looks like they might have the rear cab cloth draped across the cowl of the cab just in case. Then in another of Frenchy's reference photos they even have the left and right side curtains rolled up. That would be another interesting pose to model! In any case mine will be ready to offer as much cold weather protection as is possible. I wonder if they ever had what I will call "gateway curtains" across the lower portions of the side doors? WOW, so many options, so little time! Thanks Frenchy for all the great reference photos! 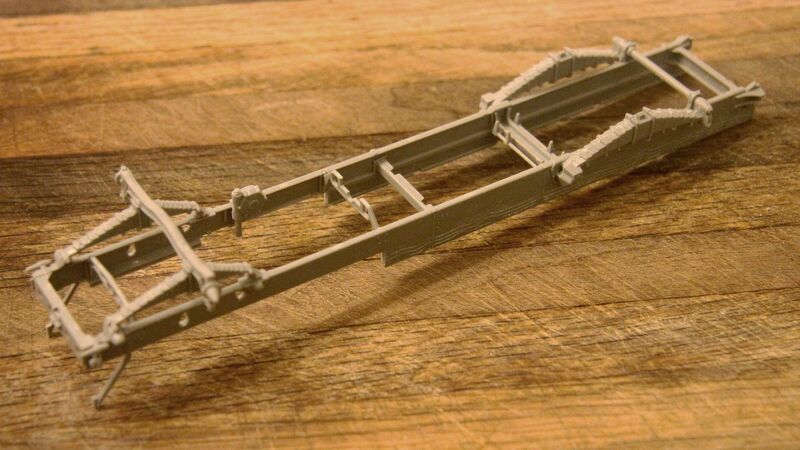 Any chance you have a photo or schematic of the underbody, specifically the rear axle brake cable arrangement? That last photo is EXACTLY the one I was hoping for !*!*!*!*!*!*! p.s. That is a very nice site you linked us to! 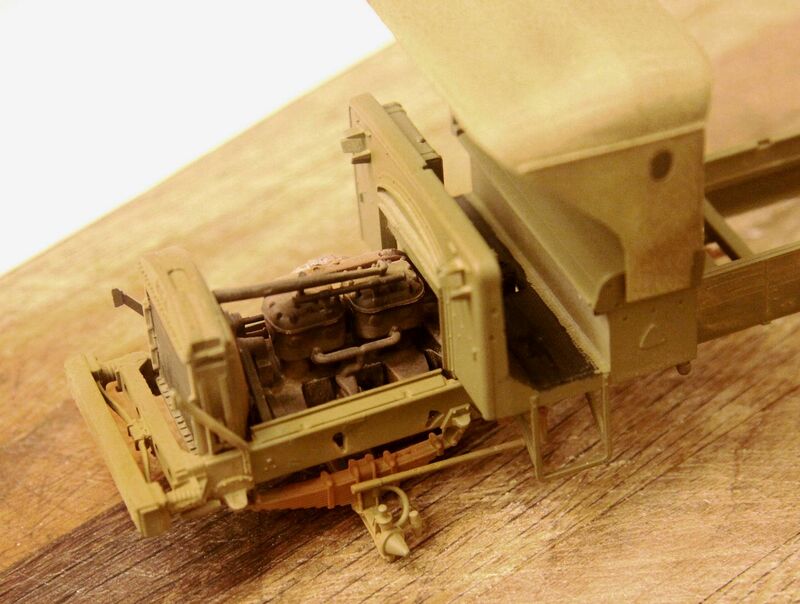 I see that the rear of the cab can be open from some of the images but I prefer the change made by Michael Koenig. I,ve been waiting for a blog on this truck. Great stuff, now I need to go out and buy one. 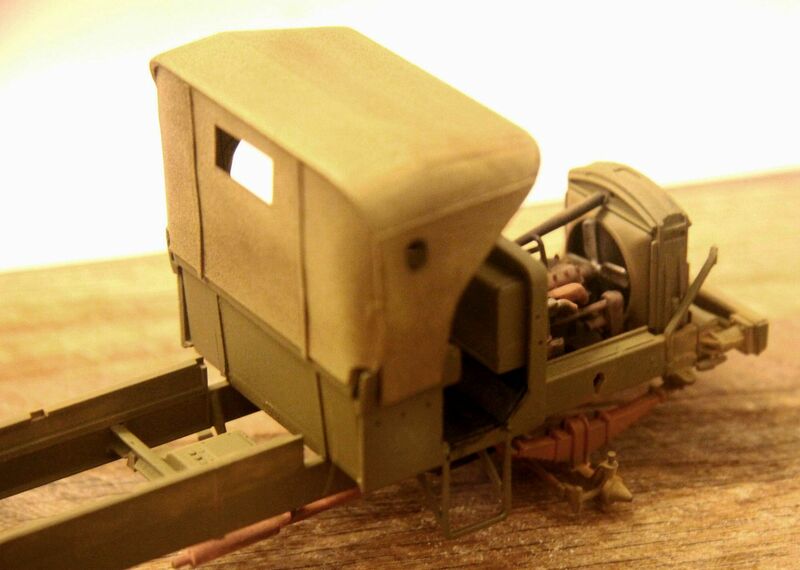 If you are into converting figures then ICM has both 1917 and 1918 U.S Infantry sets that would suit this truck. I just wish they would bring out some British trucks as well. 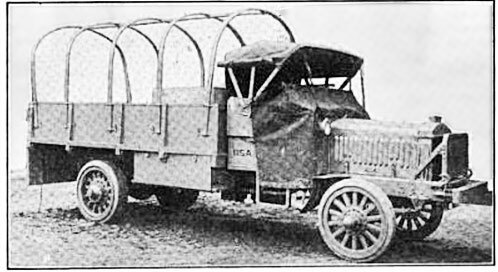 I don't even know what the British had in the way of trucks in the Great War but I would vote to take one on if it came my way! 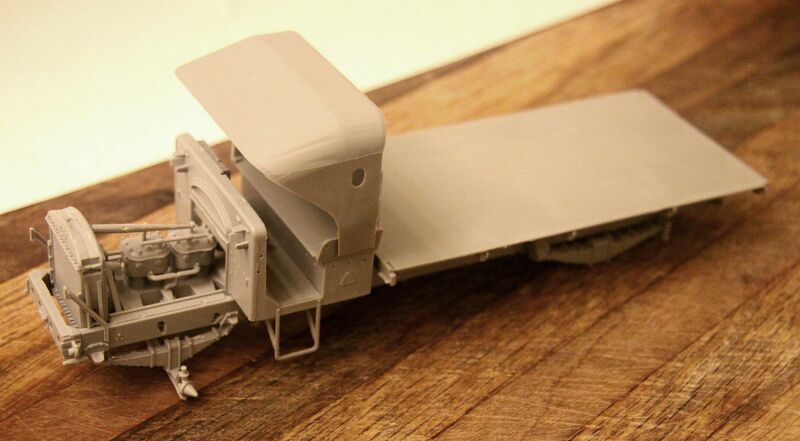 By the way for those in the Louisville area in need of a Liberty Truck, Brian over at Scale Reproductions has either one or two of these kits left as of this past Saturday! Here is where things stand as of close of business Sunday night. A little paint and a little pastel weathering have been added. p.s. "Steering" those wheel hubs was just a matter of grabbing the spindle with a pair of small pliers and very carefully adding a small twist. The front axle and hub assembly is very accurately molded and the kingpins can easily be rotated ONCE with caution!